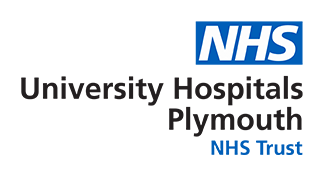 Welcome to the Derriford Hospital Bariatric Unit webpage. The information shown is designed to be helpful to both patients and healthcare workers. We welcome any constructive feedback on how this resource can be improved. It will be kept updated with our most recent guidelines; if you have been given written advice previously it will be superceeded by the information contained here. All members of our multidisciplinary team work together to carefully assess each individual and formulate a management plan to improve their health by weight loss, optimisation of other associated conditions and, if appropriate, prepare them for surgery in a safe and non-judgemental environment. We aim for excellence, both in terms of the weight loss achieved and maintenance of that weight loss in the long term. Our team take the time to ensure patients have a good understanding of the process and effects of bariatric surgery, as well as the importance of making sustainable lifestyle changes. We work very closely with our colleagues in the tier 3 weight management service based in the community; this includes specialist Psychologist and Dietitian services. We provide long term post operative care in conjunction with tier 3 weight management and your GP. We offer a complete range of bariatric surgical procedures including laparoscopic gastric bypass, laparoscopic sleeve gastrectomy, laparoscopic adjustable gastric banding and gastric balloon insertion. The team at Derriford consists of 3 Consultant Surgeons, 2 Consultant Endocrinologists, 3 Consultant Anaesthetists and a Bariatric Specialist Nurse. We work very closely with our colleagues in the tier 3 weight management service based in the community. We also have specialist Psychologist and Dietitian services.